Seafood Fra Diavolo – in 10 minutes! Cut top of squash off and then cut in half lengthwise. Scoop out seeds but you can leave any stringy pieces. Place squash cut side down in a shallow, microwave safe dish and add about an inch of water. Microwave on high for 10 minutes. While squash cooks, brown ground beef (if using). When fully cooked, add sauce and set aside. When the squash is cool enough to handle, run a fork through both halves to create your “spaghetti”. Scoop out all you can in to a sprayed casserole dish. Top with meat sauce mixture or just sauce. 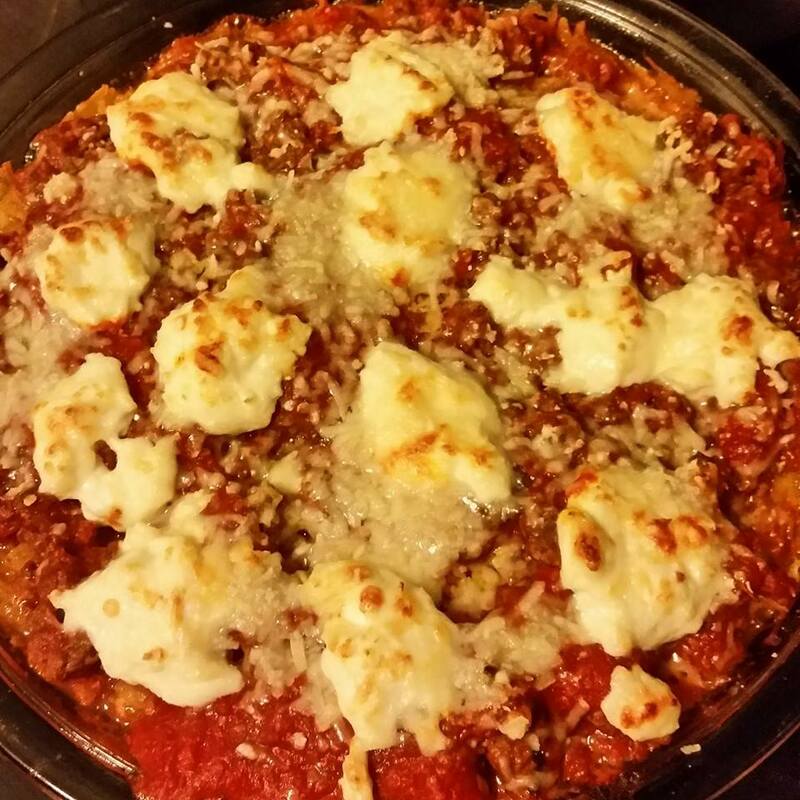 Dollop fresh ricotta atop the sauce and top with parmesan cheese. Bake at 425 for 15 minutes or until it starts to bubble and the cheese melts.